I had a couple of my closest friends come up this past weekend for a visit. It included the usual mischief of going out, drinking a little too much and dancing with abandon. We got in a little cardio by climbing Cobble Hill. Notice the word "hill". 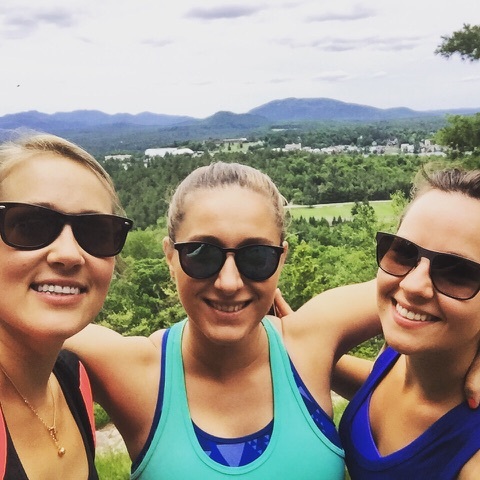 While my girls complained it was closer to a mini mountain (they were looking to call uber to pick them up, kidding obviously), it really was nothing in comparison to walking one of the 46 peaks (because you know I did that once and will never forget how terrible that was). We also pampered ourselves on the rainy Sunday by going to the Spa at the Whiteface Lodge to get massages as well as make use of the steam room, outdoor pool and jacuzzi. Who cares about girls what about the food? 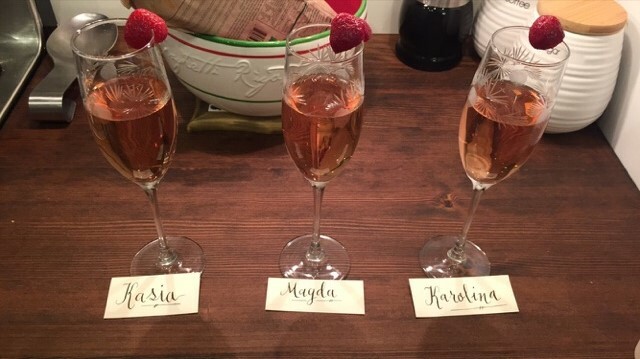 Upon the girls arrival I had (as requested by the birthday girl) glasses of rose ready. In addition I tried a new recipe I found in the Vegetarian Times for zucchini fritters. They were the bomb! I set them out with pita bread, greens, tomatoes, hummus and maple chèvre so they had something to snack on (their drive took them two extra hours). A couple of hours later we headed out to Liquids and Solids for some dinner and Smoke Signals for drinks. Saturday morning Andrew treated us to pancakes which were deemed as tasting "healthy" (you win some you lose some). Post hike (and again the next day post spa) we found ourselves at Simply Gourmet for their sandwiches. 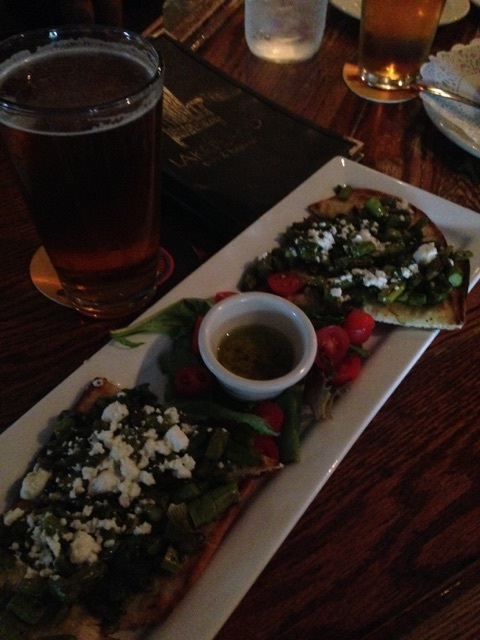 A nap and we were out of the house again for dinner at the Lake Placid Pub & Brewery where we tried their new flat bread, chevre, arugula and roasted asparagus (highly recommend). Smores for dessert back at the house with vegetarian marshmallows (which my non-vegetarian friends said were way better than the normal kind). I recommend substituting different chocolate candy bars for regular chocolate to mix up the flavor. Sunday we headed to Chair 6, which after a short wait (seating is very limited)we were served an amazing breakfast. 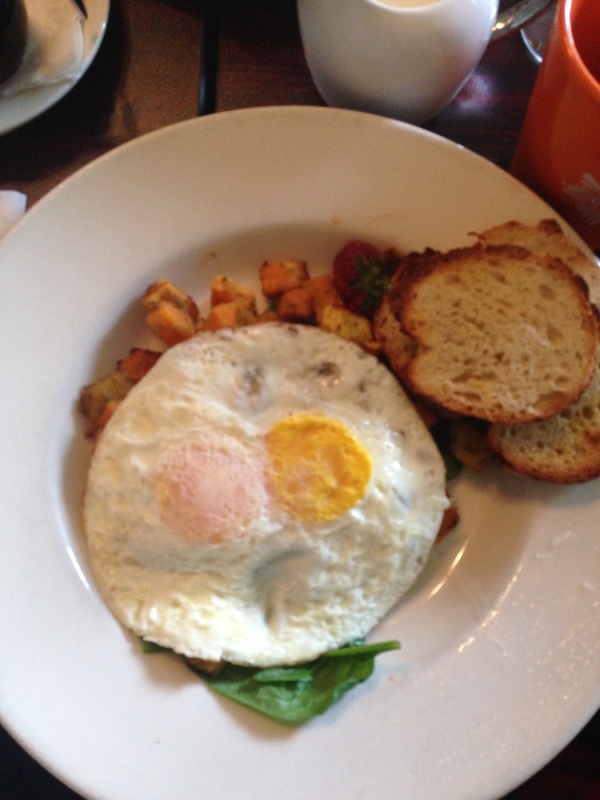 Sweet potato hash, mushrooms and over easy eggs (so good I went again this morning where I caught up with some friends in town for the day). 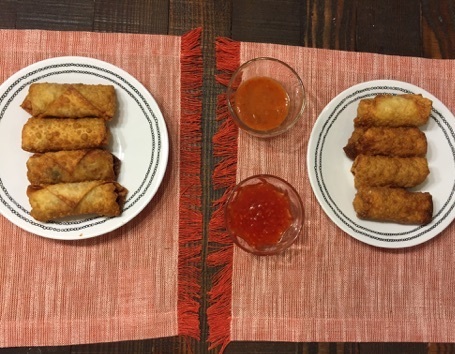 Dinner was courtesy of me and my magic hands that created the best spring rolls to date (I will give credit to the CSA pick-up since the cabbage cooked to perfection). Chocolate Souffle turned out a bit dry due to my panic over bumbling butter (which I realized too late was coming from the coating not the inside). Belly Full and Soul is Happy!